As the Executive Director for the Portsmouth (NH) Housing Authority, Craig oversees a $83 million housing portfolio with eleven properties and 600 affordable housing units in the City of Portsmouth, as well as a Resident Services Coordination Program and a Housing Choice Voucher program that serves more than 750 seniors and families in the region. Prior to joining the Portsmouth Housing Authority, Craig was Vice President for Housing at the New Hampshire Community Loan Fund, where he managed a $55 million affordable housing portfolio for this nationally recognized Community Development Financial Institution. Craig was formerly founder, broker and director of Craig Welch Group LLC, a commercial real estate advisory firm specializing in property acquisition for businesses throughout New England. In this role, he helped to develop more than 1,000 new senior housing units in the region. Prior to his real estate experience, Craig served in the inaugural class of the AmeriCorps National Service Program, where he developed service-learning programs for the University of New Hampshire and the Portsmouth School District. Craig also served in the inaugural class of the AmeriCorps Leaders program and was a member of the NH Council on National and Community Service. Craig also served as a policy advisor for New Hampshire Governor Jeanne Shaheen where he guided telecommunications and information technology policy. Craig was also instrumental in establishing the READs NH program and the Governor’s Youth Violence Advisory Task Force. 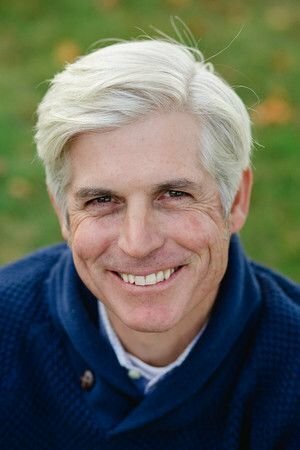 Craig was appointed by Governor John Lynch to Chair the New Hampshire Land and Community Heritage Investment Program (LCHIP) and represented New Hampshire on the Community Development Advisory Board of the Federal Reserve Bank of Boston. Craig currently serves on the Board of Directors of the Northern New England Housing Investment Fund and is President of the New Hampshire Housing Authorities Corporation. Craig is a graduate of the University of New Hampshire and earned his M. Ed in Organization and Management from Antioch New England Graduate School. Craig, his wife Stefany Shaheen, and their four children, Elle, Annah, Caraline, and William reside in Portsmouth, N.H.